From Confidence To Word Vomit..
Hope you had a great Saturday. Mine was jam packed but all fun times. As I mentioned yesterday, today was the GNC Pro SuperShow in Toronto so my lovely Dad came down to pick me up from Guelph and drop me off at the Convention Centre for me to run around my lil playground. Now before you call me a spoiled brat, note that I was totally willing to Greyhound it down there but my Dad doesn’t like me taking the bus alone. Lolz, Daddy’s lil girl. I was so thankful for him doing this though and he just wandered into the Eaton Centre and did what he does best…Shopped. First though, of course, a lift had to happen so a sleepy me (haven’t been sleeping the best lately, heat? allergies? Dunno) headed to hit shoulders (my fav!) and then head off to the Expo. I was seeing a bunch of my friends from back at McMaster so of course I had to bring a lil something something..
Flourless peanut butter banana muffins a la Averie Cooks with a few Chelsea tweaks. I was notorious for my baked goodies at the gym so obviously I had to show them that I still baked. Showing my love. They loved them btw, great job Averie! So yeah, when you first walk in its all fake tanner, bikinis and buff guys wandering around and it’s so busy that it can get slightly overwhelming. Us shorties are always in danger of being trampled. Legit. I managed to make my way through to find Andrew and he happened to be with someone I often saw shop at GoodnessMe! back in Hamilton. Small world eh? Anyways Pierre and Andrew have actually teamed up to create their own business which is totally cool. They had been waiting like an hour in line to meet Sadik, or 2nd runner up Mr. Olympia, and my lil tushie then snuck right in with them to also have some small talk and take some snaps. Sadik is quite a real guy. So not what you expect from someone so huge in the bodybuilding world. Great guy and very inspirational. After that, and after a few calls, bad directions and getting lost, I finally found Daniel, who was a fellow personal trainer at Mac. And we proceeded to also get a lil snaphappy at the bodybuilding.com Photo Booth. Do you even flex? Dan is such a sweetheart and so it was super nice to catch up and see what he was up to. I then found myself wandering away and finding myself in line for Miss Buff Bunny.. I waited a whole 40ish minutes (and that was at the end of the day!) to finally arrive up to her and that’s where my confident self basically turned into a rambling fangirl…. I wanted to tell her why she was an inspiration to me and now it’s all a blur of pointless **it in and amongst a few “you’re my inspiration” type stuff. Anyways, she inspires me in several ways and it would be nice if she could read this more scripted version instead of the garbles I said to her earlier. ~She’s tiny, like myself, but EATS! She eats to grow and she shows that she actually eats quite a bit. It’s none of this chicken and rice crap that I see so many female YouTubers sporting even when they aren’t on prep. This really helps me mentally because I have this weird irrational sense that I’m doing something wrong when I’m over here eating more then people larger then me. I have mentioned this before but this is why comparison is a total mind ef. She’s five inches taller then me, lifts and eats 400 cals less then me. WTH? Case in point, DONT COMPARE TO ANYONE ELSE BUT YOU! I need to take this point to heart. Heidi even said this. Take it as a positive that you can eat so much. You body is telling you that you need it, not just to grow but even just to maintain. Fuel that rabbit metabolism girl! ~She lifts heavy. I have mentioned this before, but this is actually motivating always because there still aren’t that many girls, let alone, ones sitting nicely at 5 feet tall, that actually lift to grow. You know how proud I was when I hit that 135 back squat? Pumped! Oh you’re such a cutie. I love how tiny you are. Plus she dealt with my blabbering self with a smile. Heidi, you are the real MVP! So yeah, today was fun, but despite my lovely car nap, I’m drained so I will cut this off here so I can go stuff my face one last time for the day and hit the pillow. Categories: Event, Fitness, Personal | Tags: Bodybuilding, Bodybuilding Expo, Confidence, Embarrassing Moments, Event, Expo, Fitness, Fitness Motivation, Friends, Inspiration, Personal, Personal Thoughts, ProSupershow, Self-Doubt | Permalink. The mind is quite powerful as I have mentioned before. With that in mind (no pun intended), you should want to use it’s power for good right? 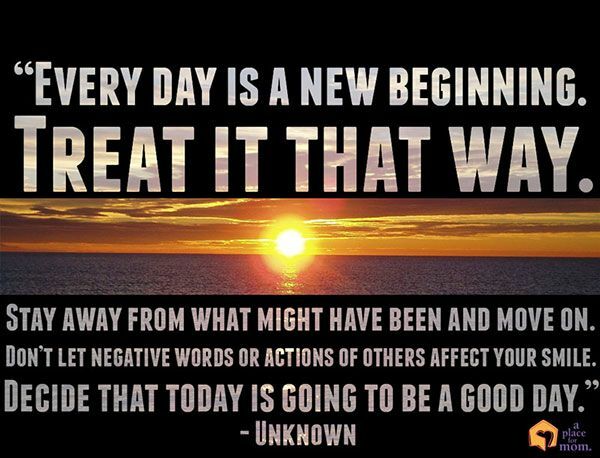 Sounds easy and logical but in these days where negativity is the norm and it seems like thinking positive just takes too much effort, its actually quite difficult. My friends, I was told today that I was a pure inspiration this morning as I was beginning my gym sesh. Let me share part of the conversation I had with a lovely women I tend to start my mornings with as she comes in to train with Jack (her trainer at Goodlife). Me: I’m good thanks, you? Her: Ugh, it’s Monday. I hate Mondays. Smiles. Her: See this is why you are so inspirational. Geesh, I always say to myself if she can be here then SO CAN I! I was super flattered by her comment, after all, I love spreading any form of motivation for people to better their health and themselves, but I was also moved by how such a lil statement (stay positive) could make such an impact. It really made me stop and think whether I take my own advice. I don’t think anyone could say they are 100% peaches and rainbows every day of their life, but maybe if we worked at being just a lil bit more positive on a more daily basis, our moods might be better for it! I have been actively trying to do this more often. I can’t wait to train. As I said, use your powerful mind to your benefit, not to your days demise. This picture is actually my display picture on my phone. A constant reminder to be happy and positive even if you feel the rest of the world is miserable. Here are some examples of ways you can turn things around if life throws you a curve ball that gives you the urge to be negative. Work stressing you out…..Obviously I’m good at what I do because people feel they can depend on me. Take things one at a time and I will get them done. You’re stuck in traffic….The sunrise is beautiful. The day is bright and therefore so will mine. You failed a test….Okay so I didn’t do as well as I wanted, but now I can take this and figure out the pieces I didn’t understand as well as I thought I did and move forward stronger. You’re workout sucked…I’m not a machine, I can’t be wonder women every day. So maybe my strength is not there today, but I can work on my endurance and take this opportunity to increase my repetitions to challenge myself in a new way. You fell off your diet…By me feeling as if I need to eat those ‘restricted’ foods, it means this way of eating is not right for me. I need to educate myself on something that is enjoyable for me and fits my life. Wow less then 1000 words, now that’s something. In fact motivating and inspiring yourself on this Monday (and every day!) is quite Marvelous. Thanks to Katie for inspiring me to put a lil bit extra Marvelous in this Monday. What negative thoughts make an appearance often for you? What would you say instead to put a positive spin on them? What is one phrase you hear others say that really just irks you? Categories: Marvelous In My Monday, Things To Think About | Tags: Blog Love, Blogger Link Up, Blogger Link Up Party, Healthy Mind, Inspiration, Marvelous In My Monday, Mental Health, Motivation, Personal, Positivity, Rambles, Things To Think About, Thoughts | Permalink. So I have quite a bit of things to tell ya + of course where would you be without a side of my randomness to go along with that? Yeah, you love me and my rambles right? Did ya see my new lil page off to the side of my blog heading? That Work With Me! tab is now up and running and is a link to my page describing the next installment of this blog which is my meal and fitness plans that are now available. I want to reiterate that these will not take away from the blog at all, they are simply a way for me to work closer with those of you wonderful people who want some guidance. If any of you are interested further, just email lil ol’ me at c_cross20@hotmail.com. Please note that I have heard some of your concerns and dig yet more digging on what is around pricing wise and have adjusted my pricing. 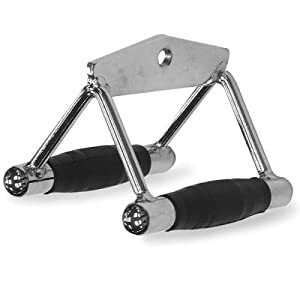 I hope I didn’t scare ya’ll off but I did some research before hand and with further researching have come to the conclusion that those brackets were too high. My apologies! So I like to be real with you guys on this blog, but if this is TMI for ya, skip on down to numero three-ooo. So yeah, had that done yesterday. Felt like death. So my Dad had a slight panic attack on Tuesday morning when he realized that my procedure was actually on Wednesday (yesterday) rather then today and so he came and ripped me out of the gym so that I could start the prep (which you have to start 1 day in advance) only a bit late. Without going into the nitty gritty details, basically you are unable to eat for 24 hours while simultaneously taking prescription “clear every possible morsel from your body” meds. Not fun. Oh did I mention that you have to drink fluids like you’re trying to drown yourself? So that left me quite nauseous and dizzy to say the least, as you are loosing electrolytes like no tomorrow, not to mention I was beyond exhausted from just not being able to eat. That problem when you are dying to take a nap but can’t because that would mean you can’t drink more water…#TheStruggleWasReal folks. Wednesday morning started off okay, but the nerves and “I’m so hungry I’m gunna puke” feelings started to kick in as I made my way to Guelph General for my noon, yes NOON appointment. Of course, we had to be there at 10am because sitting around waiting while experiencing those aforementioned feelings just adds to the excitement. Afterwards was super fun too. They actually had to keep me longer then usual because I was too “out of it” to discharge. My body just really doesn’t do well with anesthetics so they ended up throwing me back in the bed with wet clothes all over me before wheeling me out about 20 minutes later to the car to slide me in. I was pretty off all day but the light headedness stopped by the evening once I had a bit of food in me despite it making my tummy gurgle. Thankfully, other then a lil bit of a hyper sensitive tummy, I’m doing better this morning. Pumped to get back in the gym come tomorrow! When did the Dad Bod suddenly become the body that women drool over? I honestly don’t know when this became a thing but I think it’s stupid. When I sa that, I’m not saying that everyone should strive to have the bodybuilder physique because, one, that is not attainable for all bodies and two, many people have no interest in tailoring their life around their physique. What I am saying is stupid is the fact that apparently women PREFER this ‘Dad Bod’ over a more muscular one. These are the statements that have been made recently in articles and generalized to all women and I have to say that for myself, this is not the case. No, I’m not a shallow person, I just have my own taste if I was to be asked what what I’m attracted to, it’s muscle. I like the fit look because that’s what I strive for myself. The other argument floating around relates back to that first statement. The idea that some women feel that a more muscular man is just too hard to attain and may outshine them, so instead, they ‘downgrade’ to a more soft look. These are the words of those articles not mine, but the bigger picture here is that this is coming from a place of low self confidence rather then pure preference. What do you think about this Dad Bod? These things drive me nuts. They are all over Facebook so even if I’m only jumpin online for a second, I see one of their ads. Because they are totally ridiculous and I feel as if some people may still fall for their ads. These will not make you look like the models that they present. Don’t fall for it. Not that you should be wanting to look like another person anyways. Detox teas (detoxes in general actually) are most often about starvation so the only detox your doing to your body is flushing it of all your electrolytes and fuel. I have been finding lots of fun new exercises to try out all thanks to the Online Coach. The one guy who wouldn’t mind his name being in pink. Check out his channel here. He not only uploads a new video every day that includes workout footage, life and his flexible dieting lifestyle, but he offers a lot of surprise appearances and tons of tips too. Fun videos! Specifically here are two things that I have found to test out and spice up some of my routines. And add a twist to work the lats in a slightly different way while also hitting your serratus anterior (those beautiful cuts along the upper ribs) from the rotation. 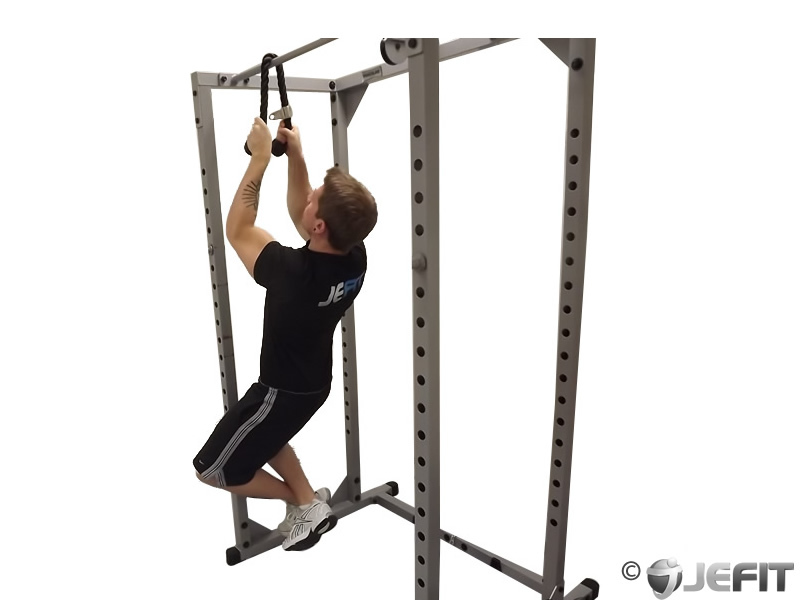 One that I have tried though is simply doing pullups and chins using different cable attachments. I have tried this out, with my heel planted on the rounded part of a bosu ball because I have short-fart legs, and it’s a great thing to superset a larger exercise with to burn out those glutes and hams. Thanks to Lacey and her instagram page for constant workout inspiration. Anywho guys, it’s a wee bit late and my rambles have come to an end. I hope you enjoyed and lets all say wassssup to Friday and the beginning of the May-24 weekend. Categories: Personal, Things To Think About, Thinking Out Loud | Tags: Announcement, Blog Love, Blogger Link Up, Blogger Link Up Party, Bodybuilding, Exercise, Exercise Inspiration, Fitness, Glute Exercise, Inspiration, Instagram, Personal, Rambles, Surprise, Things To Think About, Thinking Out Loud, Tips And Tricks, Update, YouTube | Permalink.